Ann Mah has been interested in food since the age of five, when she climbed on the counter to watch her father chop garlic. After graduating from UCLA, she moved to New York to pursue her other love—books—eventually becoming an assistant editor at Viking Penguin. And because of the JBF Scholarship Program, she was able to fuse her two passions into a fulfilling career. In 2005, Ann received a James Beard Foundation culinary scholarship to study in Bologna, Italy. "The experience deepened my knowledge of Italian cuisine," she told us. "It was my first real introduction to classic Italian food, to the dedicated producers preserving traditional methods, from the three generations of women aging balsamic vinegar in their attic, to the seventy-year-old pastamaker effortlessly rolling out a lump of dough into sheets of lasgana so silky and fine you could read a newspaper through them. It also ignited a passion for the connection between history, place, recipes, and food, an interest that has become the foundation of my writing." After Italy, Ann went on to become a food and travel writer and author of a novel, Kitchen Chinese (HarperCollins). 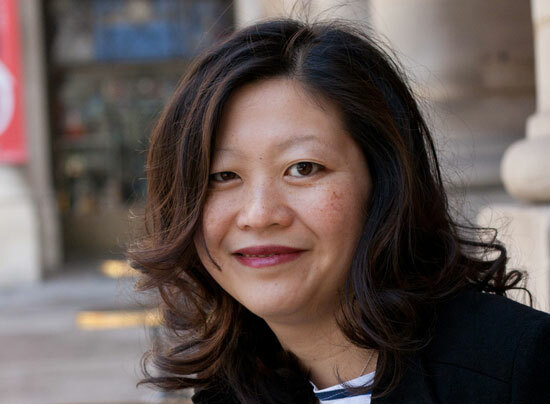 Her work has appeared in the New York Times, Condé Nast Traveler, the International Herald Tribune, Fodor’s travel guides, Washingtonian magazine, the South China Morning Post and other publications. Her food memoir, Mastering the Art of French Eating, is forthcoming from Viking Penguin in September 2013. "The JBF Scholarship Program offers a wonderful opportunity to study, travel—and eat!—and connect with different people and cultures," she says. "Being curious, embracing an open spirit, creating a solid foundation of classic cuisine—all these things are invaluable to developing a personal style and creativity in the kitchen." Ann currently divides her time between Paris—where she has lived since 2008—and New York City. She can be found on Twitter and Facebook.